Although it’s only February, there are already two global trends in the supply chain logistics industry that’ll play a big part moving forward into future years. The first trend that has been taking shape in recent years is that next-tier economies (emerging countries that are not Brazil, Russia, India, China and South Africa, also known as BRICS) are having their markets currently experiencing an influx of what Agility’s press release for the 2015 Agility Emerging Markets Logistics Index calls “dynamism”. This is happening in a time when the global economy is experiencing a cool down. The second trend, which has been ongoing for the better part of two decades, is the continuing evolution of the digital sphere. Specifically, in how Bitcoin has been gaining traction as a medium of exchange in many emerging markets (including ones in Agility’s Index) and what that could mean for even the most basic of financial transactions in those countries. “A year ago, there was talk of an emerging markets meltdown and of a new ‘fragile five’ based on concerns about weakness in South Africa, Brazil, India, Turkey and Indonesia. Emerging markets as a group turned out to be far more resilient – even vibrant – than expected despite continued sluggishness in the global economy” said Al-Saleh. “The factors driving growth are increases in population, size of the middle class, spending power and urbanization rates, along with steady progress in health, education and poverty reduction” he continued. 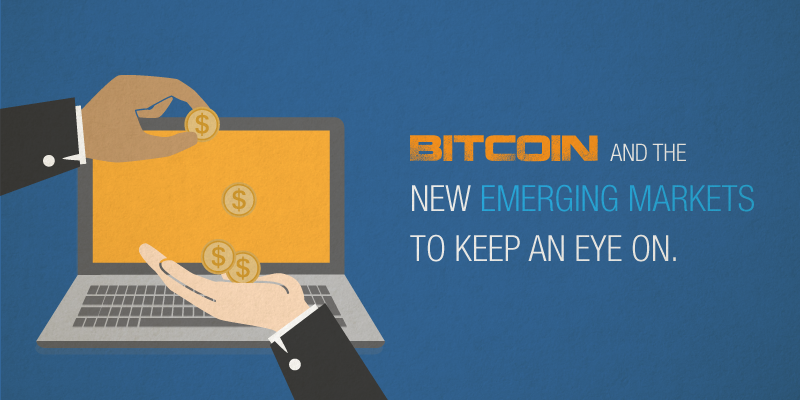 This upward trajectory ties into the rise of Bitcoins in emerging markets. For the purpose of brevity, we’ll forgo explaining how it works and instead recommend this Wall Street Journal article by Michael J. Casey and Paul Vigna which explains it, and the ways it’s not just a digital currency. Although Bitcoins have had several confidence damaging scandals, it’s still seen as having high utility in developing economies as it offers faster, more transparent, and sometimes a more stable alternative to local currencies that are experiencing high volatility. Min-Si Wang’s article in Forbes on subject gives further detail about Bitcoin adoption in emerging markets (for example, the trading volume of Bitcoin in China grew from 0.4 percent in 2012 to 4.7 percent in 2014). According to Jana, a mobile-payments company that serves as many as 2 billion people in emerging markets, some 58% of those surveyed, from Vietnam to Brazil, said they would feel comfortable investing in a virtual currency, rising to 75% in Kenya, home of the wildly popular M-Pesa mobile-money network. 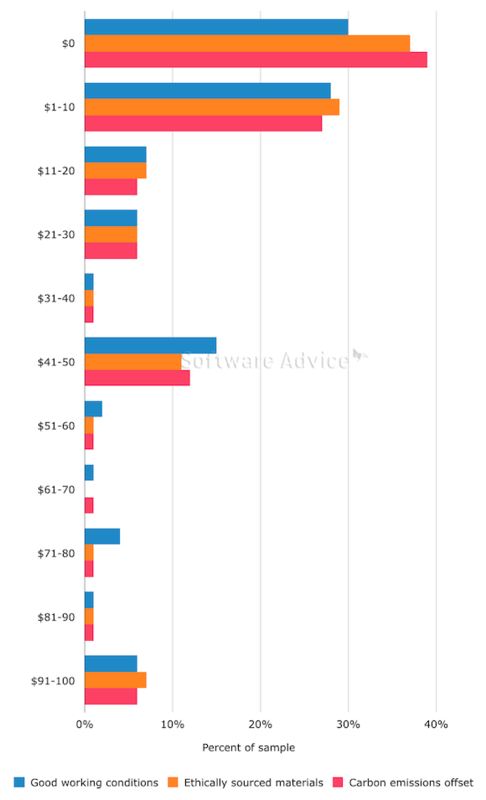 In fact, in some countries, as many as a fifth of respondents claimed that virtual-currency investments were a safer long-term bet than stocks and property. … this model could slash trillions in financial fees; computerize much of the work done by payment processors, government property-title offices, lawyers and accountants; and create opportunities for billions of people who don’t currently have bank accounts” writes Casey and Vigna. “Great value will be created, but many jobs also will be rendered obsolete. The non-BRICS emerging markets are set to have a heavy impact on global business trends in the near future as their economies and logistical networks continue to strengthen. As they do, so does the faith open-source systems and digital money. The future looks to be very interesting in the coming years. Target, the U.S retailing giant has recently been getting a lot of attention from the Canadian press. Unfortunately for Target, the discussion has been how in this year alone, it had a $941 million loss in the Canadian market due to the baffling mismanagement and miscalculations it made it its first foray into a foreign market. While Target had peers that failed in foreign markets for similar reasons it could’ve learned from, the biggest lessons it should’ve studied were those of Amazon’s which managed to not only capture 7 % of all e-commerce in Canada, but also has the potential to account for 1% of total retail sales in the country. Although the business models of the two companies are different, the obstacles, opportunities, and logistical limitations are not. Amazon did a lot of preliminary work before opening its first Canadian distribution center in 2010. Target’s approach was considerably different. Instead of a slow province-by-province rollout, it tried to achieve “critical mass” from the onset by sinking $1.8 billion into buying out Zeller locations (which didn’t include renovation costs) and opened 124 stores across Canada in 2013. Both companies faced logistical complications when they entered the Canadian market because of the country’s vastly differing regional tastes, strict trade and wage laws, and geographical vastness. 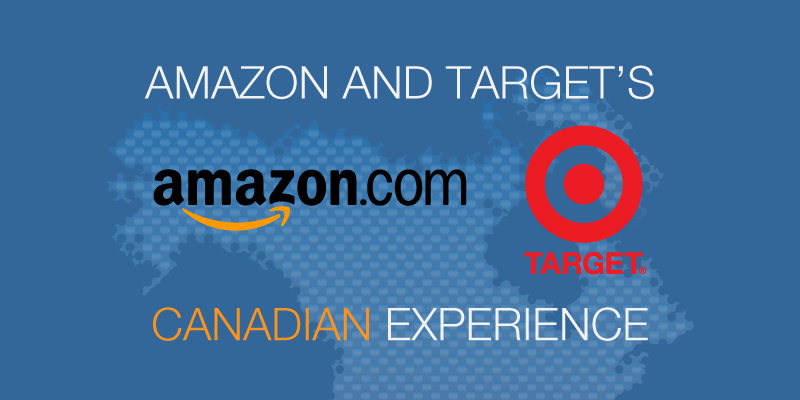 As a result, the initial offering of both Amazon and Target for Canadians was paltry, and priced higher than their respective American counterparts. Amazon’s approach to offset this problem was to offer a modest selection while maintaining the convenience it’s known for. It focused mainly on books and smaller items and overtime, introduced 14 new merchandise categories that would receive a lot of Canadian press attention. Through this, Amazon.ca was able to build for itself a loyal customer base. This approach also drew attention away from the inflated prices, which is a common technique amongst the successful American-based companies doing business in Canada. Target hadn’t really planned outside of creating a Canadian specific brand (which failed to launch on time), and sticking rigidly to the management, sale, and promotional models that it had in the U.S., even when it clearly wasn’t working. Differences in Canadian packaging laws, protectionist tariffs on some foods and exclusive wholesale arrangements also meant that the Canadian stores couldn’t be serviced from the company’s American distribution network. Many of the 124 Target stores had whole sections that were empty of products, while other items were overstocked and congested the supply lines further. The empty stores led to customers instead focusing on price, which is an area a U.S based company can’t compete in for the reasons mentioned earlier. Do your homework –Amazon did a lot of preliminary work before it entered into the Canadian market whereas Target simply assumed the business climate would be similar enough to its home base. Be flexible—Amazon success international is largely due to its ability to adapt to changing tastes and trends. Target’s failure in Canada is in large part due to its insistence on rigidity. Patience—Target sought to control a portion of the Canadian retail market at the onset. It failed to remember that entering a foreign market is a patience game, and as a result it lost billions. Transparency was one of the most predicted trends for the logistics and supply chain industry in 2015. In the past, it was usually prohibitively expensive in both time and resources for businesses and customers alike to trace the origins of each aspect of a product. Now, there are a number of sites, institutions, and apps dedicated to making supply chain networks more visible. Large, network-dependent businesses such as Starbucks and Amazon have also adopted, and have started championing this trend. Greater transparency is no longer just a lofty goal for the logistics industry; it is an essential business strategy if a company wishes to remain competitive. However, there is one small but important detail that is over looked when discussing transparency. That is that a transparent supply chain is not necessarily the same as an ethical supply chain. McDonald’s recently made the mistake of confusing transparency with ethical when it launched its “Your Food, Our Questions” campaign in October. The campaign involved having videos and a section of their site dedicated to answering common customer questions about their products in great detail. Despite their effort at being more candid with its customers, McDonald’s has still received a lot of criticism for not actually doing anything about making any meaningful commitments towards sustainability. For an older, more cautionary tale about not pushing for an ethical supply chain, read the story of Nike and its PR disaster that was born from its unethical suppliers that ultimately had Nike’s earnings fall 69%. Despite Nike previous attempts at being forward thinking by being open with its customers that it couldn’t reasonably keep track of its suppliers, and its declared commitment to uphold a higher ethical standard within its U.S facilities, it did little to stop the fallout of the scandal. This past August, Forrest Burnson and his associates at Software Advice, a company that analyzes logistics software, published a summary of research they had conducted meant to gauge which initiatives along different links of the supply chain would make customers more likely to buy—or pay a premium for—a company’s products. The research, which was a series of surveys, asked participants how much more they would pay for a product that was produced more ethically with respect to a particular link in the supply chain: raw materials, manufacturing and distribution. On average, consumers say they would pay 27 percent more for a product normally priced at $100 if it was produced under good working conditions. Consumers were split on whether improved working conditions, community involvement or environmental efforts would most convince them to buy from a firm. Twenty-eight percent of consumers said reducing water usage was an environmental initiative that would make them more likely to purchase a company’s products. The implications of the study’s findings indicate that customers care most for “labor conditions for the workers who make their products” when given the choice to pay a premium for a better ethical standard in different areas. However, more importantly, the research also gives evidence that there is a very real market for ethical supply chains. This is a market that, in this writer’s opinion, will grow in tandem as transparency becomes ever more ubiquitous. With January in full swing and the weather continuing to plummet, it is important to take a moment and discuss a topic that doesn’t receive as much mention as the more popular topics currently trending. 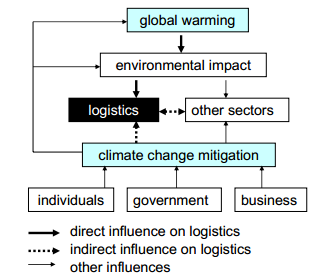 This topic is the impact climate change is having on supply chain logistics. With the hustle and bustle of the holiday season come and gone, many people are now returning to their normal work and home life. That is, if you in any fields that are not retail or logistics. After the holiday season, and especially after Christmas, many shipping services, retailers, e-retailers, and 3PLs get inundated by deluge of unwanted or ill-fitting gifts that need to be returned to their retailer of origin in a process called reverse logistics. By simply looking at some facts and figures from this Wall Street Journal article, it is clear that the post-holiday time presents major opportunities for many 3PLs, especially those with a specialization in reverse logistics. 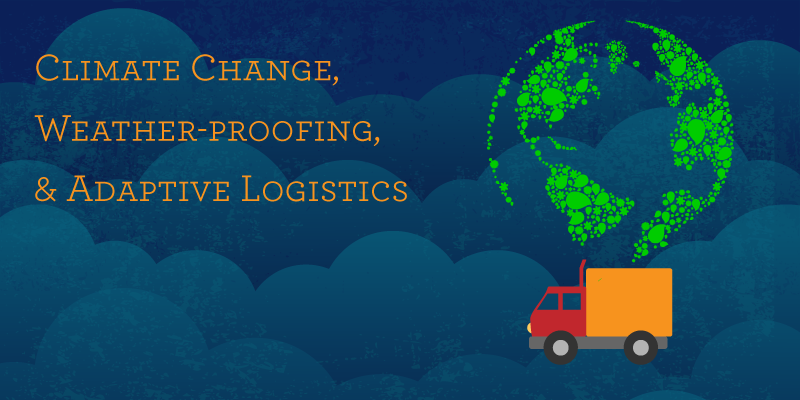 The opportunities inherent in reverse logistics, stems from the current e-commerce boom. As demand for online shopping grows, so the does the percentage of customers dissatisfied with their purchases. A large number of retailers and e-commerce companies are ill equipped with the growing number of returns (which is up 15% from the holiday season only two years ago). With reverse logistical networks being an inherent part of many 3PLs to varying degrees, it makes sense that they be the natural choice for providing the service for other businesses. In fact, the necessity to switch toward more customer-centric strategies (such reducing lead times, improving planning, improving fulfillment, and improving post-sales/returns capabilities) is the focus of an article on MarketWatch. It is in this same spirit of reverse logistical capitalization that FedEx recently announced its forthcoming acquisition of GENCO, a leading third-party logistics provider in North America that specializes in end-to-end reverse logistics. 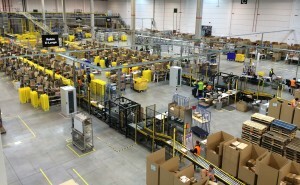 Through GENCO’s leadership position in reverse logistics, FedEx will be able to expand its North American presence in the e-commerce market as GENCO’s reverse logistics customer base includes some of the top companies in the technology, retail, and healthcare industries in North America. “A growing trend of being “cheaper and nearer” seems to fit well within the cost sensitive and eco conscious reverse logistics chain of events. Much efficiency can be found in near-sourcing third party service providers (3PSP) who specialize in the services of redeployment, repair, reuse, recycling, reclamation and resale. This appears to be a successful business model in today’s fuel conscious and green minded environment. Efficiency and response time are the key terms to take away when discussing reverse logistics as the problem of potential value loss arises if items are delayed for too long, especially when it involves fashion items. 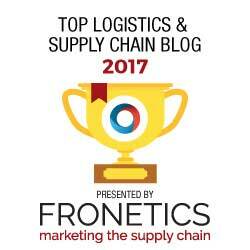 If you were reading Forbes’ website last week, then you would’ve come across an interesting article concerning predicted trends for the logistics industry in 2015. Sarwant Singh, a Senior Partner in Frost & Sullivan lists a total of 15 likely trends to occur in 2015 with common threads between all of them being Information & Communication technology providing new avenues for production, solutions, and business models; and societal trends transforming the corporate, market, and personal landscapes. The entire article is excellent and is a must read for anyone curious about the opportunities afforded by the evolving logistics industry. 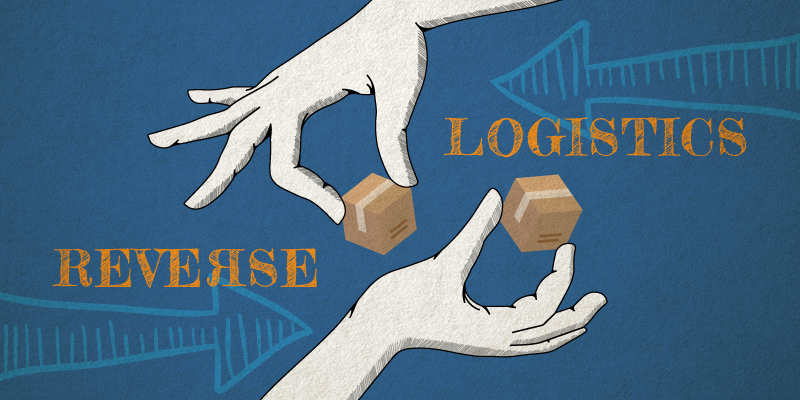 For this blog post, I would like to focus on three key trends listed in the article as, in my opinion; are the biggest deviations from the status quo in the logistics industry. The world will prepare itself for faster processing speeds and faster response times. The next few years will see a move toward zero latency and human unnoticeable delays providing real-time experiences. This will increasingly be embedded into workflows and other processes. The collapse in latency times in just the last few years has been astounding. The old expectation of same month delivery from traditional post service evolved to same week. This year saw same-day delivery become the standard for e-commerce companies such as Ebay, Amazon and even Google. However, even this hasn’t been quick enough with Amazon’s same-hour delivery service for its Prime members which it revealed last week. The move toward zero latency is not only a massive drive for innovation in the logistics industry (such as Amazon’s delivery drones and DHL’s massive pledge of investment into creating more efficient supply chain networks in China), but also a key way in how many supply-side companies are marketing themselves to customers. Increasingly pervasive analytics and collaborative platforms would make data and processes more transparent than ever before. Governments, corporations, organizations, communities, supply chains and even individuals will be more accountable and liable for policies, decisions and strategies. Customer interactions with businesses of years past were very binary for the most part. A customer wanted or required a product, and a business provided it wholly formed. Questions such as where it came from, how it came to be weren’t asked and businesses weren’t forthcoming with the answers. The logistics industry was no different as the levels of supplier tiers, volume of oversee transactions, and technological limitations complicated the matter further for many companies in the industry. The change in philosophy has been swift and pervasive in the last few years as large international companies such as Starbucks, Levi’s, and even McDonald’s and Amazon have embraced more open business models. Our post last week focused on this trend, but suffice to say, greater transparency in the industry is good all-around as it offers customers more information, accountability, and ultimately better choices. As the policymakers debate and implement policies increasing quota for women in boardrooms in 2015, we will see a lot more women focused strategies across companies in different sectors. The industry of logistics has long been a “Gentleman’s Club”. As outlined in the Morai Logistics Infographic focusing on women in the logistics industry, compared to other industries women still have some room to catch up at all levels in the logistics and supply chain industry. However, not only have more women been getting into the industry, but women focused strategies overall has been on the rise. In a past article we wrote about how companies are realizing the benefits of supplier diversity go beyond the “social good.” We are now at an age where companies are starting to find that supplier diversity programs can be fiscally beneficial through ROI, and lead to bridge-building into the untapped force that is women-owned businesses. 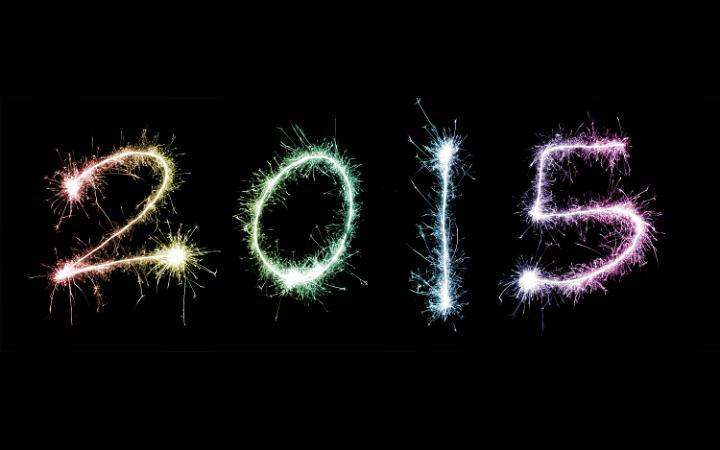 All-in-all, 2015 will be an exciting year for the logistics industry. A couple of weeks ago, we talked about The Amazon Effect and how it affects 3PLs. This week, we return to Amazon as the giant online retailer announced its launch of Amazon Elements, “a new line of premium, everyday essentials with transparent origins” in a recent press release. The press release states that information such as “where items were made, why each ingredient was included, where the ingredients were sourced and much more” will be offered to Amazon Prime members. Furthermore, each package obtained from this new service will contain a unique code that can be scanned through an Amazon shopping app to track its specific ingredients and their origins, its date and place of manufacture, date of delivery, and ‘best by’ date. On the surface, what Amazon Elements is offering isn’t new. Other supply chain dependent companies have been offering similar levels of transparency for years. 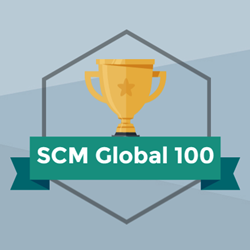 For example, Switcher, a Swiss textile company, labels each of its products with a code so that its customers can enter at the website to retrieve information about every firm and factory along the supply chain while also looking at the environmental performance certificates. There’s also the Massachusetts Institute of Technology’s supply chain-friendly tool Sourcemap which is described as “the social network for supply chains” offers a very similar service to Amazon Elements (except it isn’t locked to Prime members and it doesn’t only cover diapers and wipes) as it too offers customers the ability to see the complete supply chain for a product or company. It also has the added benefit to calculate the potential impacts on the entire supply chain in the event of natural disasters or political unrest. So why then does Amazon’s announcement merit any press interest let alone any from anyone in the logistics industry? The answer is that unlike the efforts of other companies which have transparency as a value-added part of production, the transparency is the product when it comes to Amazon Elements. Although supply chain transparency is important as demonstrated in classic case of Upton Sinclair, or the more recent crisis of Lululemon, many companies are still luke-warm on the idea. This is because historically, both customer and retailer largely didn’t care about the history of an item. They were content that it was reasonably priced for what it is. The production and supply chain behind it was effectively invisible. Even if a business wanted to be transparent with its supply chain, it was incredibly difficult outside of its immediate suppliers due to technological and resource limitations. Going back to Amazon Elements, Amazon is testing what sort of ROI it will get by selling transparency. The actual diapers themselves are more expensive than those on offer by their competition. However, Amazon has seen the move by supply chains in recent years from invisibility to transparency and its ready see how much it can capitalize from this trend. As customers take greater interest in the origins and authenticity of the things they buy, providing them with tools to track provenance will become an important part of the marketing mix and will give producers and retailers new ways to capitalize on brand value. A key consideration is how much data to make publicly available, and in what degree of detail. 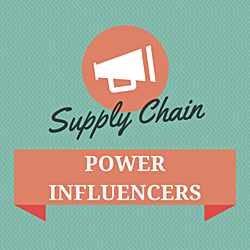 Many firms have made bold assertions about how seriously they manage their supply chains. 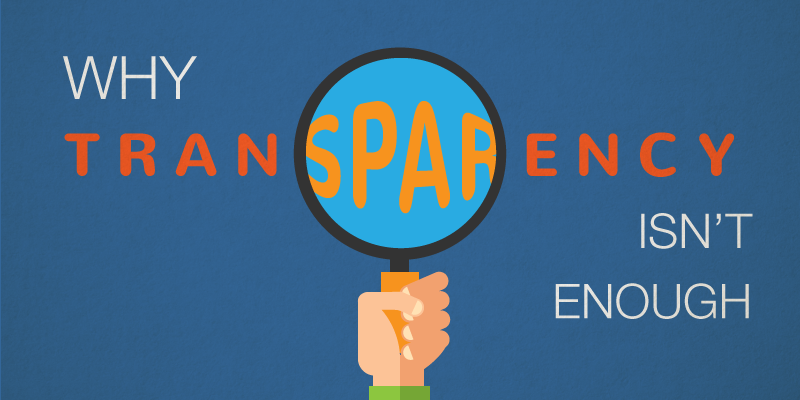 Transparency, at a granular level, gives credibility to those claims. Next week marks the anniversary of one of the most damaging data breaches in recent history. During the Black Friday of last year, retail giant Target Corp.’s had the credit and debit card numbers and personal details of over 40 million of its customers compromised. The public relations nightmare that followed resulted in profits plummeting upwards of 46%, Target shares slumping approximately 8%, and Chief Executive Gregg Steinhafel resigning after over 20 years with the company. Stories such as these are unfortunately not that unique which is why it is critical for companies and organizations, big and small, to invest strongly in strategic PR. For those in the 3PL market, this means being aware of the ongoings of all suppliers and business associations; once a crisis happens, it can be difficult and costly to identify a problem’s source in the supply chain. Other than a crack PR team, there are two ways that 3PLs can protect themselves from the toxic fallout of bad publicity. One of the most frightening things about a damaging PR crisis is that not only can it ruin a company business overnight, but that it can be unrelated to the original brand due to the nature of upstream supply chains. The best way to counter this is to ensure that oversight of all aspects of a supply chain can be conducted with as little lag in communication as possible. It is for this reason that nearshoring has become so essential. There are a lot of financial and logistical benefits to nearshoring. However, a key benefit that is often overlooked is that by conducting business so relatively close to home, a 3PL company can better establish a strong and resilient social network which at the end of the day “is not really about socializing, but about facilitating people to people communication and collaboration” according to an interesting article on SupplyChain247. The added degree of security because of Mexico’s increasing growing infrastructure and business-friendly economy is also a welcomed factor. In a similar vein to nearshoring, the power of social media doesn’t end with crisis management. The immediacy of information and two-way discourse between company and customers is essential when handling a crisis. It is for this reason that the benefits that social media provides when it comes to damage control cannot be overstated. From JC Penny to Fontaine Santé, case study after case study shows a demonstrable advantage for companies that are actively engaged and have a focused strategy when it comes to social media. Provide an avenue for improved customer relations by allowing a company to directly engage with individuals interested in their brand or product. It is through this engagement that companies can tell their commercial journey and invite stakeholders into sharing their own stories. Amazon Inc. is in the news again. This time, the online retailing giant got press attention for having petitioned the Federal Aviation Administration (FAA) for an exemption from rules prohibiting the use of drones for commercial purposes. This move, along with its recent job posting calling for experienced pilots to fly its drones, indicates that Amazon is serious about moving Prime Air, an ambitious thirty minute delivery program involving unmanned aerial vehicles, from concept into reality. Although the experimental delivery program may still be a few years away, it is this sort of unorthodox business strategy that has led the company into having a hand in 20 percent of all e-commerce in North America. Other programs that Amazon has implemented over the past several years has also caused stirs in B2B markets, cloud technology, and those in 3PLs in general. Amazon has been selling millions of items annually to thousands of households for several years. However, since 2012, it has been targeting the lucrative wholesale and distribution market through AmazonSupply which itself grew out of years of experience operating Smallparts.com since it was acquired in 2005. Whereas common items on Amazon’s main site include books, CDs, and Blu rays, many of AmazonSupply’s items are those that would otherwise only be obtained through specialist distributors such as centrifuges, micrometers and air cylinders. 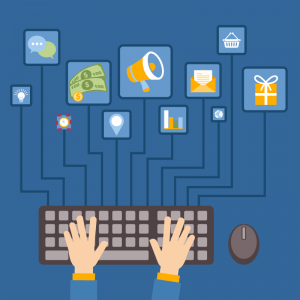 And unlike many other businesses that specialize in industrial B2B transaction, Amazon focuses its marketing through digital media assets such as videos, post downloadable, CAD drawings and user reviews. Although AmazonSupply’s main competitor, the Chicago-based industrial supplies giant W.W Grainger, holds an estimated 6% of the entire B2B market according to a Forbes article. Despite this, AmazonSupply’s future is bright. It already has Grainger’s online inventory beat by almost twice the amount indicating that it may in fact be the major player in the B2B market rather than its current status as only a major player. The computer infrastructure that Amazon has built for Amazon Web Services (AWS) is considerable. With it, the company has been able make itself felt in the e-commerce business world by dominating the cloud computing industry and “hosting customers from NASA to Pfizer PFE +0.89% and ringing up an estimated $3.2 billion in revenue last year” writes Claire O’Conner of Forbes. With its control of the cloud computing industry, “Amazon might leverage its investment in cloud technology to become a clearinghouse for a steadily increasing share of e-commerce business” wrote Dr. Robert C.Lieb and Kristin J. Lieb in the Quarter 3 2014 report. As more and more 3PLs move into the digital world, that means that Amazon will continue to be a looming presence as it moves from customer to competitor. 3 – Customer or competitor? There’s been some discussion as to whether Amazon is in the process of making a committed move into the 3PL market. The company already offers a range of services and benefits to its two millions vendors such as cheaper transporting services, order management, inventory control, delivery and billing–all of which put it into competition with other 3PLs. Referring back to Lieb & Lieb study, they found “with the continued expansion of the company’s warehousing, distribution services, order fulfillment, and transportation services, Amazon might become a formidable competitor by offering shippers a broad range of services that 3PLs already provide”.